Everyone always has that one class that no matter what you do, you can’t seem to get the hang of the material. For most people it’s a math or science course, and I am no exception. Accounting, Managerial and Financial, was that class for me. Accounting is math on a whole other level. It’s a full on different language, which makes reading and answering the problems challenging. Most of the problems take multiple steps to answer, so if you mess up one step you are going to have trouble getting the final answer right. Thankfully, the MyLab programs have a helpful solution. The “Help Me Solve This” button on my homework saved my life. This magic little button is an amazing tool that can be easily mis-valued and unseen as it’s under the “Question Help” tab. It gives you a similar question to the one you’re working on for you to solve, while explaining the steps and processes as you go. You get two chances to answer each step and if you are unable to answer correctly it will give you the correct answer. You get hints before each step to help you get the answer right the first time. You’re walked through the demo problem in its entirety, but you can exit out at any point if you feel confident enough to finish your homework problem on your own. The best part is that you can click on it at any point of problem solving and can utilize it as many times as you want. I used this aid on every single homework set that I was assigned. It was my holy grail. My favorite part was the hints, because many times I knew what to do, but had something simple like a formula wrong. I also appreciated that I didn’t have a limited number of times to use the button. If I was still having problems, I could go back and rework the “Help Me Solve This” problem. I would even write down the steps as I went, to ensure that I would know how to solve my actual homework problem. This was also beneficial when studying for my tests, because I could learn the steps that I had written down. Though I’m emphasizing my use of the “Help Me Solve This” button for MyLab Accounting, I’ve also used this tool in various other courses. For example, you can use it in a similar way with MyLab Economics, Finance, Business Statistics and more across all subjects! It was also beneficial on MyLab IT for my Business in Computer Science course, and I expect to use it in my Marketing by the Numbers exercises with MyLab Marketing. This tool has helped me in so many of my classes and I don’t think I could have done as well without it. Don’t be afraid or ashamed to use this tool. It is extremely helpful and there for a reason. Pearson wants to help you succeed and that’s why it is there. So, the next time you need help, give it a go! You’ll never know how useful it is until you try it. Pearson Students: What tools do you use to help your grades? Share by commenting below! Vivianna Loza is pursuing a degree in International Business and Economics with a minor in Human Development and Family Science. She is a Pearson Campus Ambassador at the University of North Texas in Denton, Texas. She is a member of The National Society of Leadership and Success, the National Society of Collegiate Scholars, and the UNT Honors College. 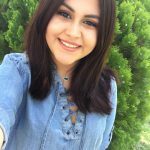 Some fun facts about Vivianna are that she loves Starbucks, things that sparkle, and a good sweet tea. Love it! Great job on showing the power of learning tools.